Pompeo’s thuggish threats against the ICC: a Trumpian call or electioneering hyperbolic fodder? I’m announcing a policy of U.S. visa restrictions on those individuals directly responsible for any ICC investigation of U.S. personnel. … These visa restrictions may also be used to deter ICC efforts to pursue allied personnel, including Israelis, without allies’ consent. … We’re prepared to take additional steps, including economic sanctions, if the ICC does not change its course. It’s like déjà vu, all over again — to quote legendary US baseball manager and pulp philosopher Yogi Berra. Many chuckle at this quaint paradoxical observation, but on occasion it is fitting. While something may not quite be déjà vu, seemingly or virtually, it just may be. And that is what we can say of US Secretary of State Mike Pompeo’s speech on 15 March 2019: same same as what we heard from US National Security Adviser John Bolton, but different. Déjà vu, all over again. Was it not so long ago that National Security Adviser John Bolton informed the world of the US’s major policy shift towards the International Criminal Court (ICC)? Did he not tell us that the US would do whatever it took to protect the US’s sovereignty against the uppity, illegitimate, and presumptuous ICC for daring to investigate US citizens (military personnel and civilians) for committing crimes that fall under the ICC’s jurisdiction? Say what you will about Bolton, he is anything but subtle; he does not do nuance, especially when going after one of his favorite targets — international institutions. Presumably, when Bolton announced President Trump’s ICC policy, which he told us he would doggedly pursue, those on the receiving end of his message (and others) got the point: the US not only would not cooperate with the ICC, but would also try to undermine it as an international judicial institution recognized by 123 states that have signed on to the Rome Statute of the International Criminal Court. Pompeo undoubtedly took note of this policy, which, expectedly, was widely criticized (for my take see here). Put differently, what part of Bolton’s / Trump’s policy on the ICC did Pompeo fail to grasp? Zero. But then why the need for this newer visa policy against the ICC? First, some general observations. ICC personnel (including ICC investigators working for the Office of the Prosecutor (OTP)), when on official missions, generally travel with diplomatic/UN passports. Investigations are not conducted willy-nilly. They are planned, focused, and approved by the OTP, with notice given to and authorization received from the state authorities where the investigations are to be conducted (see Article 99 of the Rome Statute on states’ cooperation in relation to investigations and prosecutions). 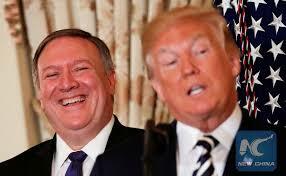 For Pompeo to somehow suggest — as he wanted the audience to conclude — that ICC investigators, having obtained US visas, infiltrated the US to conduct clandestine investigations by searching through government archival material (an absurdity), canvasing crimes scenes (an impossibility since the events occurred outside the US), or to meet with witnesses (possible though likely implausible considering that the witnesses are or were US military personnel and civilians not subject to being compelled to give evidence), is fantastical. Normally, written requests are made for information or documentary evidence. The US, like other states and organizations, tends to neither admit nor deny possessing anything being sought — unless it advances the US’s agenda. So, just like there is no national emergency at the US’s southern border of the US being invaded or on the cusp of being invaded by a hoard of criminals, terrorist, and dangerous immigrants, there is no emergency (which the out-of-the-blue announcement seemed to convey) that ICC investigators are running amok in the US, searching for evidence to (wrongly) indict US citizens. To put it bluntly, Pompeo’s threat of revoking visas of ICC investigators is both brutish and inane. There are likely no visas to revoke. Anyone from the ICC traveling to New York for business at the United Nations — say when the UN Security Council is interested in considering making a referral to the ICC (which, irony of all ironies, the US as one of the permanent members has requested and/or supported — e.g., Sudan and Libya) — is unlikely to be denied a visa. So whom is Pompeo kidding? OK, maybe some ICC personnel would like to visit Disney World with their families or maybe attend a conference, or take in a Broadway show. But seriously, Pompeo would have us to believe that ICC investigators are clandestinely carrying out investigations, which he just found out about, and he (since it is his policy) will have none of it. As for Pompeo’s not-so-veiled threat against the ICC for any unwanted investigations it may be carrying out against US allies, specifically mentioning Israel, this too was raised by Bolton, so why the need to carry on about this visa policy? Bully for both Bolton and Pompeo. After all, what is the use of having a bully pulpit if you cannot use it? The bottom line is that Trump, Bolton, Pompeo, and other like-minded Trump officials can say whatever they like, just as the US can adopt whatever policy it wishes for itself or as a proxy for its friends. But this should not obscure the inconvenient reality: the ICC, flawed as it may be and unsuccessful as its track record reflects, is an independent court that is neither subordinated to nor reliant on the US. So what gives? Why was it necessary for Pompeo to make this announcement, which, in no small measure, was intended to undermine the legitimacy and diminish the viability of the ICC? My take is that Pompeo is trying to elevate his profile by being Trumpian: appealing to Trump’s base, which he hopes to inherit when he runs for the US presidency. Why else, as Secretary of State, is he going around some of the primary (election) battle-states? Or maybe he is just being Trumpian to coax Trump into making him the next Secretary of Defense — which would also signal to Trump’s base (and other Republicans) that he is presidential material. Or maybe he is just being Pompeo: a more polished version of Trump — full of thuggish bravado, smug pomposity, and intellectual vacuity. I find your remarks silly that Pompeo is trying to elevate his profile to “Trumpian”. Much of the premise of your article is built on a weak, if not crumbling foundation, assuming there is foundation. The “ICC” is only independent on paper-it is a very far cry from an independent body-is heavily influenced by the United Nations and the Nation States that form the ICC. As to the 123 Assembly of Party, where is China, Russia, and the United States? In other words, it is an International Court without any of the World Powers. But the biggest canard in your article is that the ICC is independent of US support-the ICC was built with US support, there a significant number of people that have tried to see that it is a successful body, thousands of US personnel attended Kampala. We had a roving ambassador for War Crimes. As an American trained lawyer, with a focus on criminal law, I would expect you to know better that the probability of handing over the investigation of US military to a third party (biased or not) violates the United States Constitution. 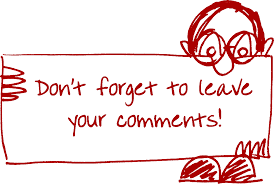 The whole tenor of your article is an exercise in the art of writing something when you have little to say. Obviously, you loathe Trump and his bunch, which is your right and forms the foundation of the First Amendment but somehow I expect more of you. It is one thing for an inartful person of diminished intellect to write inane articles, but you know better and understand better. The article is beneath you. I think that there are different things to consider in this matter and that most probably Pompeo and Bolton concealed their real intentions. First of all, like all the courts in the world the ICC cannot ignore politics and power. I don´t think you can find a really independent court anywhere, sometimes the limits imposed by the powerful are outspoken and sometimes they are implicit, which doesn`t mean they cannot render a good service to Justice anyway and even to challenge that power from time to time. International Criminal Law can only reach certain criminals, usually defeated warlords or overthrown dictators. However in spite of the universal cry against a supposed ICC bias against African officials, it is worth remembering that the first International Criminal Court judged Germans (1945 – 1946), the second Japanese (1946), the third Yugoslavians (1993) and only the fourth was created to put Africans on trial (1994). Germany and Japan taught us that once a country lost its power their leaders easily become reachable to a criminal court. Powerful countries and their allies, remain outside the scope of an International Court whether we like it or not. Quoting Thucydides: “…..the powerful do as they wish and the weak as they must….” . It´s a fact of international relations. Pompeo and Bolton´s remarks are similar to Nikki Haley´s threats against all the countries of the world at the United Nations in case they dare to vote any resolution against the State of Israel . The pressure of the United States diplomatic power, that this administration puts at the service of Israel in several fora, is more of an internal issue than a foreign affair. As in the case of this administration policy towards Cuba, a powerful lobby combined with the undisguised years long attemp of the GOP to attract the Jewish vote from the Democrats, produced this kind of overreaction at a time both parties are heading to the 2020 election. The United States also fiercely protected other countries decades ago (South Korea, South American and Asian dictatorships or military governments) but in the case of Israel, domestic politics demands a very public statement. Certainly we will see the same policy in case another ally of the United States is investigated at the ICC. As Pompeo specifically mentioned the State of Israel (some of whose officials are in fact investigated for war crimes allegedly committed in the 2014 Gaza War ) that gives a hint of what is his real target. No matter how many threats you can deliver. At the United Nations Haley got the opposite effect, most probably because she ignored the wriggling paths of international diplomacy which demands a firm stand against bullies at a Conference table. It is certainly easier to prohibit the Confederacy flag in South Carolina than to tame the extremely skillful bureaucracy at the United Nations Headquarters. It is also interesting to notice that the United States violates the International Immunity of other States when it enacted laws that allow American citizens to sue foreign countries in U.S. courts without the previous acceptance of these States (see the cases against Saudi Arabia, the National Palestine Authority and now the Helms Burton Act against Cuba) instead of making a claim before the International Court of Justice or other tribunal with jurisdiction on behalf of their citizens. At the same time the country expects to remain out of reach of any international court. In the long run it would be difficult for any country to keep itself aside of an international court since the world is heading to a firm integration in spite of the present anti-globalization tendencies.